When did women join the morris? Morris dancing was decreed a strictly male rite by mainstream revivalists in the first half of the 20th century. This was not historically accurate; dancers were usually male but there are records of women participating too. Nonetheless, The Morris Ring (a nationwide organisation founded in 1934), did not allow either female or mixed sides – and still excludes them to this day. Postwar attitudes on gender issues, however, brought mounting pressure for change. 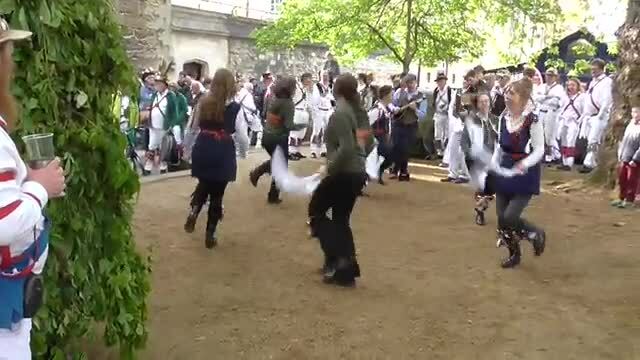 By the early 1970s there was a boom in the number of women publicly dancing morris, with several female sides forming despite widespread hostility from the old guard. 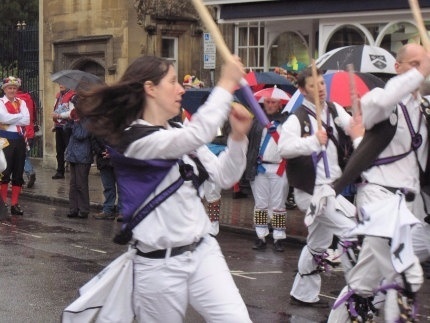 A Women's Morris Federation was founded in 1975. It began as an organisation for women only but in 1980 allowed mixed sides. Two years later it became open to any morris side, regardless of gender. In 1983, the word ‘Women’s’ was dropped and the organisation became The Morris Federation. 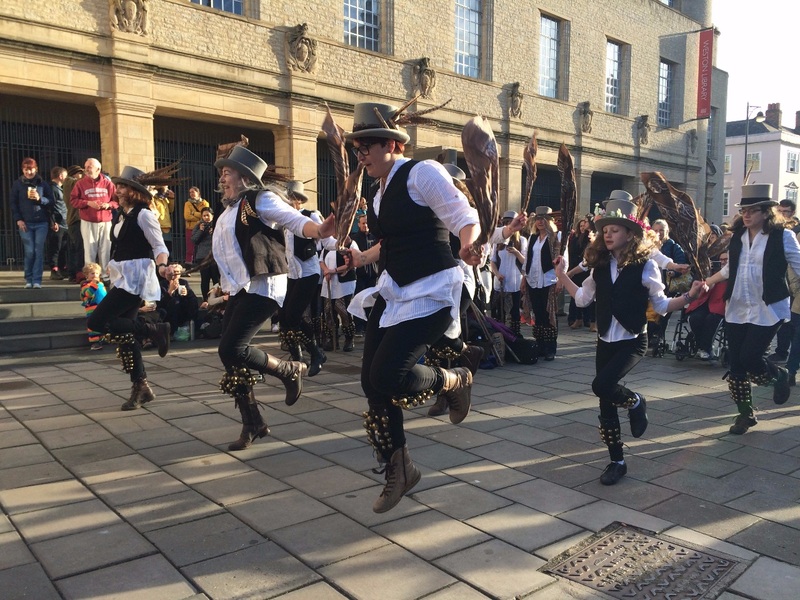 In Oxfordshire, pioneers of the women's morris included Queen Emma's Morris, based in Witney. They were formed in the autumn of 1980 and disbanded in 2010. 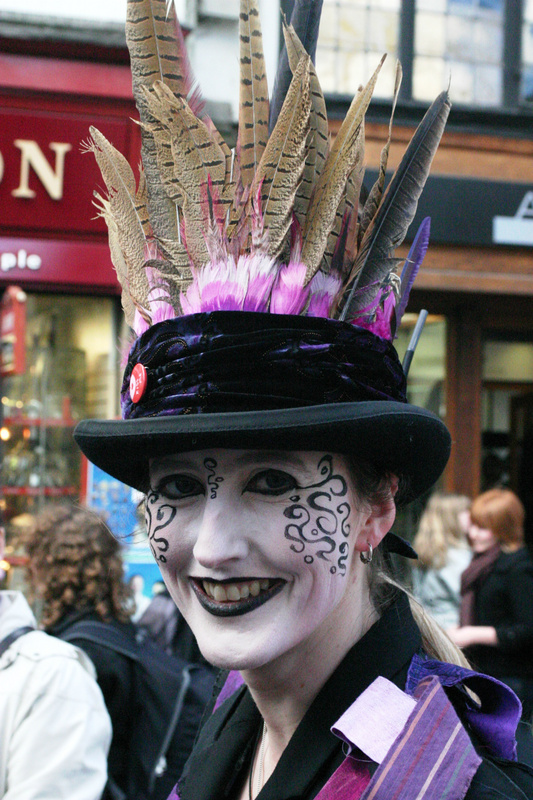 Rogue Morris, founded about 1981, also disbanded. But the women's tradition lives on. Mason's Apron, founded in 1981, is still going strong and more recently Sharp & Blunt, Summertown Morris and others maintain the tradition. Nationwide, there are now said to be over 16,000 people dancing morris, and 50% of them are women! 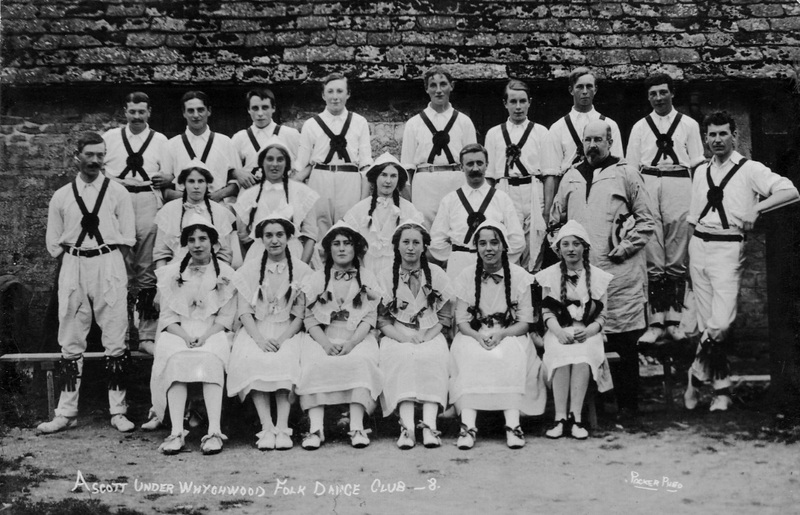 A vintage postcard shows women of the Ascott-under-Wychwood Folk Dance Club fraternising with the morris. Women dancers appeared at displays before the first women's sides were formed.